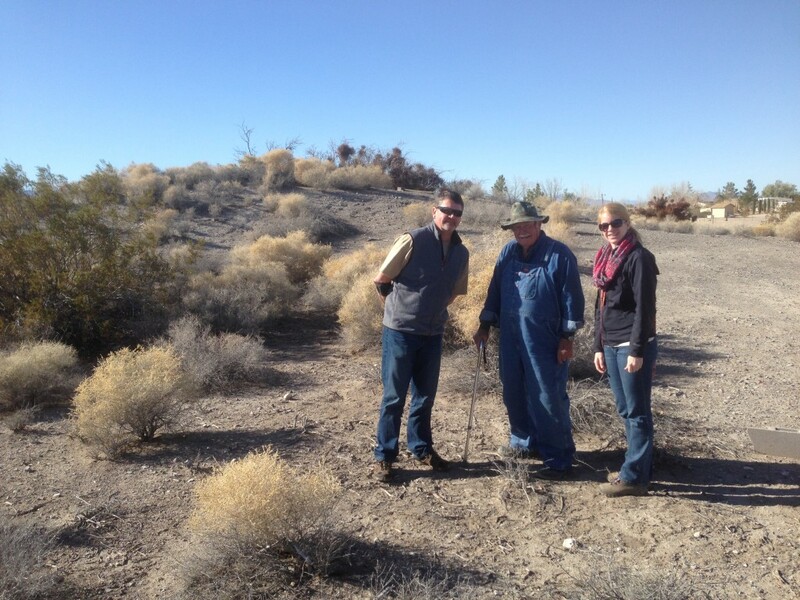 The mound in the background and Western Regional Director Cory Wilkins on the left, avocational archaeologists Don Hendricks in the middle, and Western Field Representative Deanna Commons on the right. 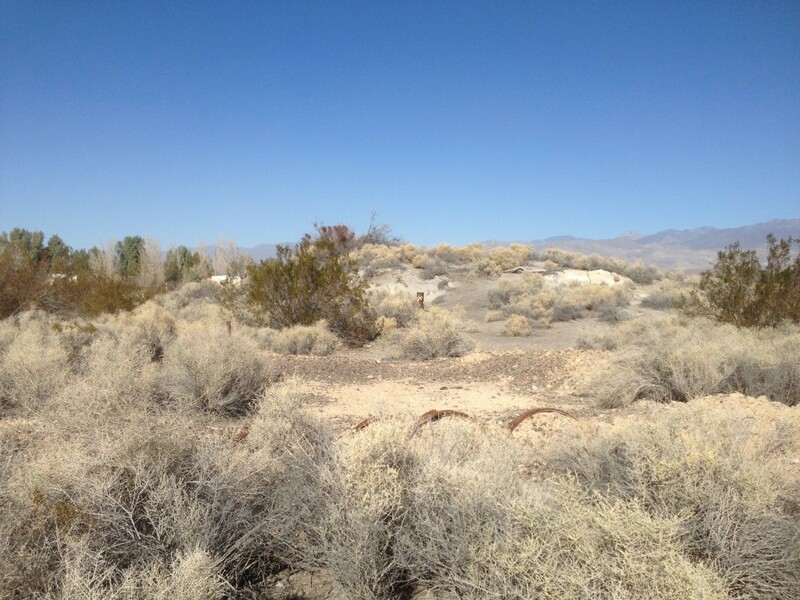 The Western Region recently acquired the remaining portion of the Mound Spring Site in Pahrump, Nevada. The mound is bisected by a property line that basically splits it in half. The Conservancy acquired the northern portion of the mound in 2002 and ever since worked to acquire the remaining southern portion. Now after much leg work, the entire mound will be preserved in perpetuity. The Mound Spring Preserve contains a spring mound that was formed over centuries of mineral deposits from the spring seepage. This water source drew prehistoric populations to the area as evidenced by the presence of a midden deposit, lithic and faunal material, and pottery fragments at the mound. It may also have been a water stop to more recent travelers like stagecoaches and freight wagons that were crossing the Pahrump Valley. 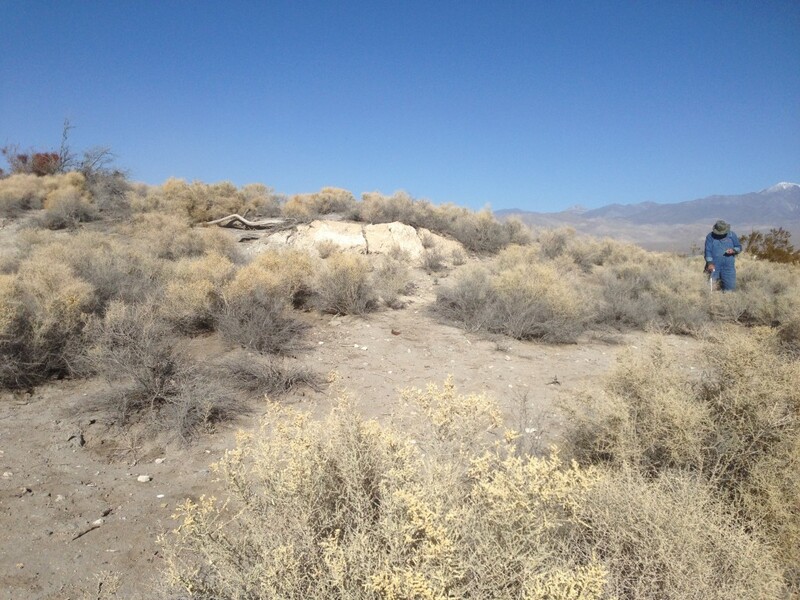 In addition, the remains of an historic adobe are present on the newly acquired southern parcel. The mound in the background and the remains of the historic adobe in the foreground. Through the years, TAC has worked with avocational archaeologist Don Hendricks on this and several other projects. He was a pivotal part in The Conservancy’s acquisition of the northern portion of the Mound Spring Preserve. He is our “eyes and ears” for archaeological preservation in the Pahrump Valley area and continuously informs us of new projects to pursue. The mound with Don Hendricks on the right.